Two photos I really love this week. 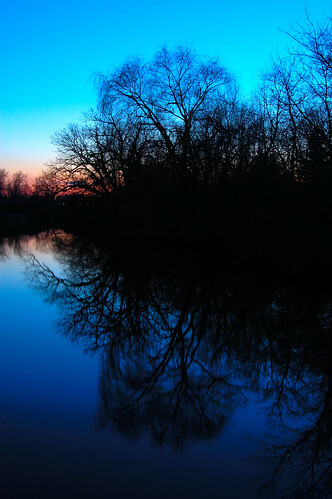 The first is a rural Woodstock, IL photo I took a few evenings ago. I drove feverishly looking for a good view of the sunset and found this spot. With Spring here (and Spring weather, finally) it just was a delight to see God show something really beautiful. The second photo is something beautiful God shows me everyday, my kids. 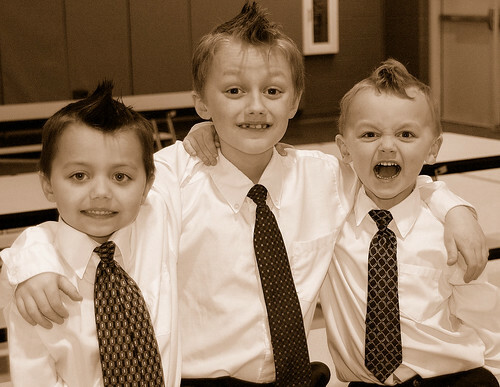 These are my three boys, Elijah, Jack and Daniel (left to right; ages 6, 8, 4). They are dressed up for their sister's school concert, and looking feisty as ever. That hairdo is called "The Shark" and started by Elijah. It's actually their everyday hair.